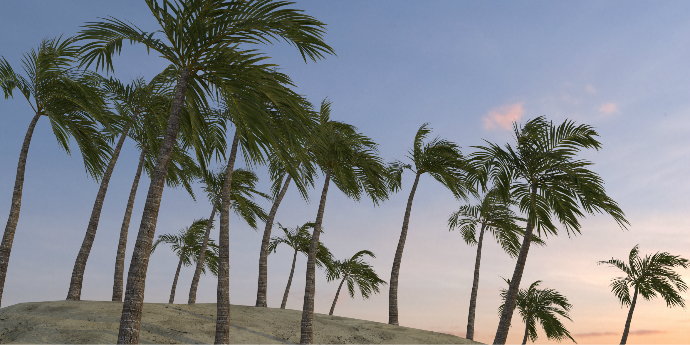 A set of 13 palms in two variations. Still, and with a wind effect. (Not animated wind.) 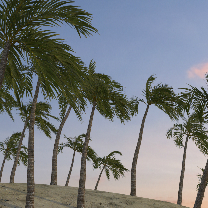 26 palms in total. SketchUp file and Thea render models. The SketchUp file also has Thea materials applied. 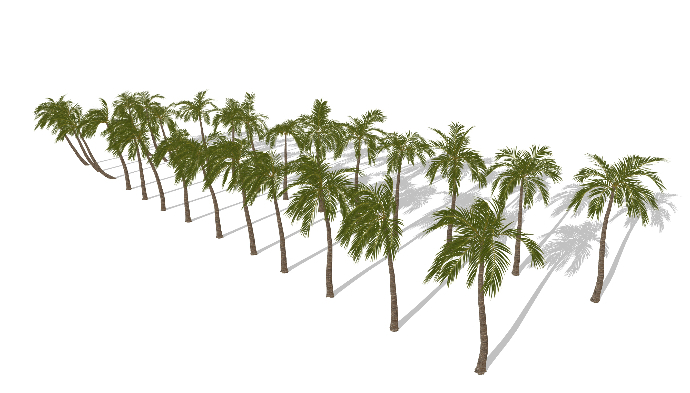 Leaves are geometry so they will cast nice shadows in SketchUp.